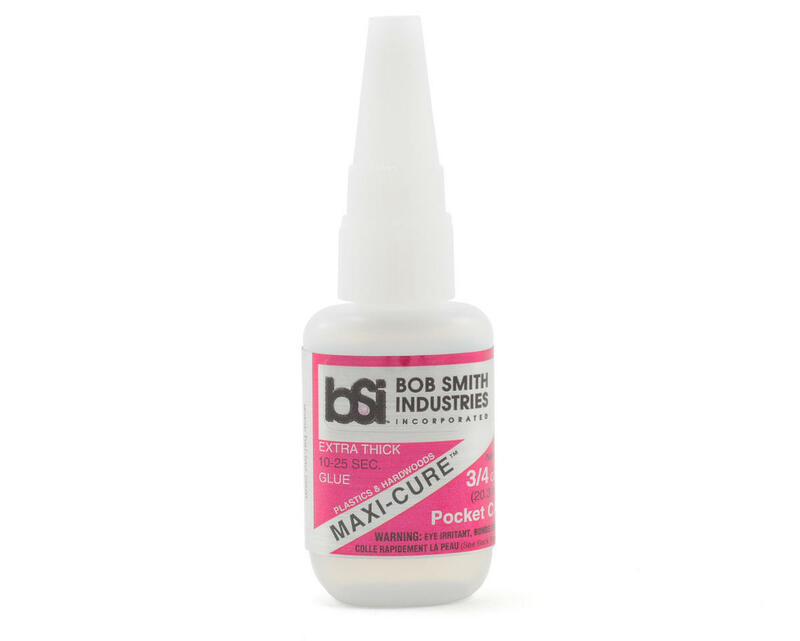 This is a 3/4 ounce bottle of Bob Smith Industries MAXI-CURE Extra Thick Pocket CA Glue with a Pin in Cap Lid. MAXI-CURE™ extra thick CA is the best CA for most plastics, including GE’s Lexan. MAXI-CURE™ is the best choice for plastic model assembly. When used with INSTA-SET™, it works better than any putty for modifying or filling voids. It can be carved with a knife or razor blade and sanded and feathered to form a finish indistinguishable from plastic.